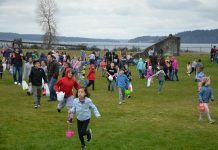 Point Ruston has quickly become one of the South Sound’s hottest destinations, and it’s no mystery as to why. With a myriad of options to eat along with stunning views of the Puget Sound, it has a little something for everyone. And for those who love to shop, the development has become a destination in its own right. From spa treatments to unique clothing and furniture boutiques, here’s your guide to Point Ruston’s retailers. Whether you’re looking for clean lines or rustic charm, TREE has beautifully crafted pieces you can feel good about made with materials from reclaimed teak to sustainably sourced wood. One of three locations (including a gorgeous gallery in downtown Tacoma and a boutique in Bellevue), their boutique and design center at Point Ruston carries beautiful pieces for every room of the home. “TREE is also at the heart of the new Point Ruston condominiums, and TREE’s design team is there to help the new residents furnish and style their condos and apartments to suit their new exciting lifestyles. With design talent and collections curated for Northwest living, no project is too big or too small for TREE. 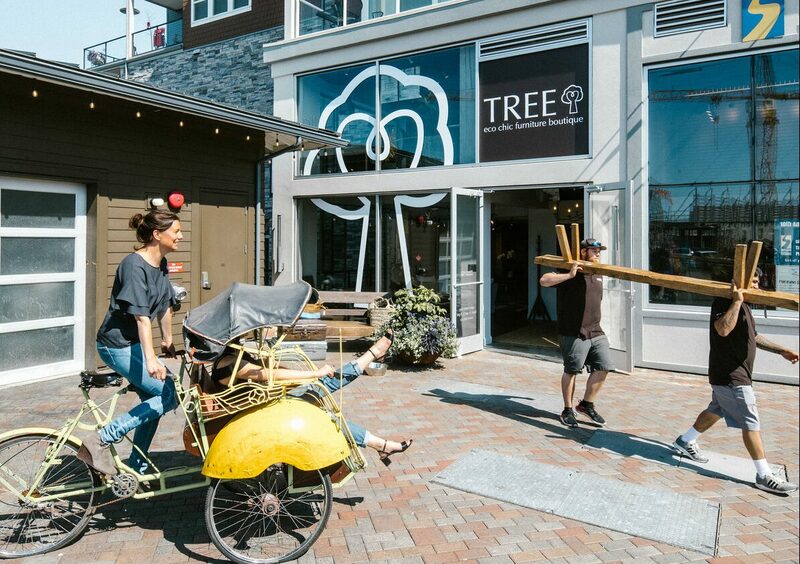 Visit TREE today and experience the beauty of handcrafted, sustainable design and furniture from the heart.” For a look at their one-of-a-kind furnishings, find them on Facebook and Instagram. For another dose of mission-driven style, stop by Purpose Boutique. The women’s clothing boutique, whose philosophy is “how you shop can change a life,” offers a great selection of the latest trends with a philanthropic twist. Alongside a wide selection of women’s wear, Purpose Boutique sells jewelry and accessories crafted by women who have escaped human trafficking – and a portion of each sale goes to further the cause with Rescue International. They can also arrange a personalized styling consultation for you or a group of friends. Get more information about their merchandise and mission at their website or Facebook page. You’ll find affordable gifts for every age and occasion at Tickled Pink. Their Point Ruston retail space carries a wide selection of gifts from apparel and accessories to greeting cards and home decor. Tickled Pink has two other locations in Gig Harbor and Poulsbo, and store manager Karrie Polinsky says they are thrilled to join the Point Ruston family. “It’s this new treasure,” she says of the development, “and that’s what exciting.” Find out more on Facebook. Looking to add a little luxury to your shopping expedition? Be sure to stop by Pink Polish Spa, where their motto is “Let us pamper you.” You can enjoy treatments ranging from a classic mani-pedi to custom nail art. They also offer waxing, eyelash extensions and massage. Get a peek at their custom nail creations on Facebook. Rebels & Lovers carries fashion-forward apparel and accessories for men and women. Drawing from a variety of influences from boho to modern, their curated selection can help you freshen up your wardrobe. If you’re looking for more personalized styling advice, Rebels & Lovers also offers free in-store styling sessions with a consultant of your choosing. For the latest looks, drop by their Facebook and Instagram pages. 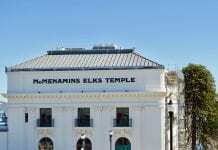 After operating for 10 years in downtown Tacoma, Purple Peacock has found a new home at Point Ruston. 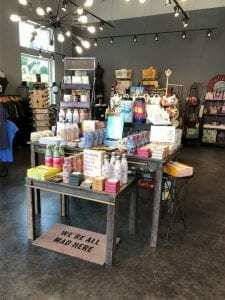 Owner Ashleigh David originally started the store as a place to share trinkets and one-of-a-kind finds from her extensive travels throughout Asia. The Purple Peacock offers a curated collection of hand-crafted gifts, and as Ashleigh explains, “A lot of things here in the store have a story that goes with them.” That’s because in the years since she has run the store, she’s continued to hand pick items and cultivate relationships with artisans and small producers throughout Asia. Her wide selection of gifts ranges from jewelry, scarves and textiles to locally made soaps and spa products. For more information, check out their Facebook page. In the market for a new look? Intaglio Salon wants to help bring your vision to reality. The Aveda salon offers a full menu of services from cuts and color to brows, lash extensions, skincare and sugaring. They also strive to make your visit more luxurious with complimentary treatments like aromatherapy, relaxing tea, a hand massage and other add-ons featuring Aveda products. For the full scoop on their treatments as well as beauty tutorials, drop by their Facebook page. South Sound Running, which has several locations across the South Sound, has been serving the community for over 20 years. Offering an array of footwear alongside apparel and accessories, their staff is committed to helping you find the right shoe, whatever your need. Through a comprehensive fitting process, their specialists work with you to analyze your individual running pattern and personal metrics to set you up with the perfect pair of shoes. Once you’ve found the right fit, test your digs out at their monthly pub run! Typically held the last Wednesday of each month (full schedule here), join them at their Point Ruston location to enjoy a three-mile jaunt and the opportunity to win some great raffle prizes. Get more information on their Facebook page. Besides their year-round storefronts, don’t miss Point Ruston’s rotating markets that make appearances on weekends, often in the summer. On Sundays, Point Ruston hosts the Tacoma Farmer’s Market. Farmers and vendors sprawl through the Grand Plaza peddling market-fresh produce and other goodies. Offering the most stellar views of any market in town, it’s a great way to enjoy the gorgeous summer weather. Next articleIs There a Simple Cure for Depression?